The great enemy of clear language is insincerity. When this is a gap between one’s real and one’s declared aims, one turns as it were instinctively to long words and exhausted idioms, like a cuttlefish spurting out ink. David Kuo, who served as special assistant to the president from 2001 to 2003. A self-described conservative Christian, Kuo’s previous experience includes work for prominent conservatives including former Education Secretary and federal drug czar Bill Bennett and former Attorney General John Ashcroft. 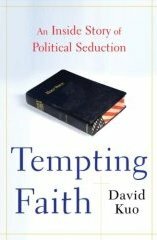 This is a book about how the Bush administration callously used the nuts for political gain, pretending to advance the conservative Christian agenda. review. 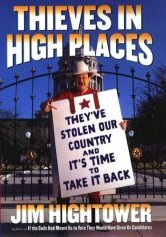 Sullivan is a conservative who is furious with the corruption of the Bush/Republican administration. He points out how spending has increased faster than at any time since FDR. The debt has ballooned to $43 trillion. There are now twice as many lobbyists than there were in 2000. Because the Republicans control of all government institutions, any corrupt businessman flocks to the Republican party to offer bribes. Habeas corpus, the key civil liberty has been trampled. America has been torturing people by the tens of thousands. Sullivan points out other conservatives such as George F. Will and William F. Buckley concur. Conservatives believe in reduced government, pay as you go and civil liberties. They want the government out of your wallet and out of your bedroom. The Bush Republicans have provided the very opposite. Sullivan calls on all conservatives to vote Democrat or abstain to sweep these crooks out of office. Sullivan explains the continued support by the religious right given all the outrageous behaviour is motivated by a desire to cling to power and to keep the flow of corrupt money flowing. This is mostly just about what doofuses and crooks the Republicans are generally talking such topics as Terri Schiavo, the undermining of social security and Tom Delay. Alternate eBook version 978-1-101-19176-7. Callahan not only documents all manner of cheating that has become mainstream in America, he documents why this has happened. He does not just wring his hands at the decline of honesty. He explains practical steps to encourage honesty. He tackles the problem at all parts of the economic scale, with special focus on the mega-cheaters at the top. Callahan has written a number of interesting-looking books on this theme, but this is the only one I have read. 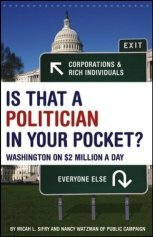 How campaign contributions in Washington amount to legalised bribery. Sifry and Watzman lay it all out with no bark on it in this devastatingly straightforward book — the overt corruption of our country through what we politely call the campaign finance system. Legalized bribery is the root of our political rot and few people know more about how to fix it and have done more to fix it than the good folks at Public Campaign. 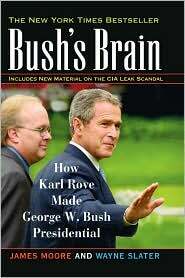 How the unscrupulous Karl Rove controlled Bush’s actions. 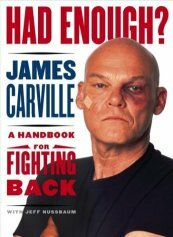 Carville is a democratic strategist, the guy who came up with the winning slogan I’ts the economy stupid. He explains how to play hardball with Republicans in debate. For example, he explains the parallels between carnival sucker games and Republican tax breaks. Recommended by Michael Moore. Krugman is a professor of economics. 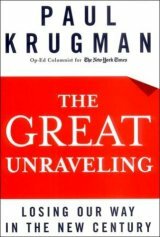 This is a primarily collection of Krugman’s columns in the New York Times from 2000—2003. He explains how the Bush regime is a revolutionary power. They don’t feel any compunction to play by the rules. They plan eventually to change all the rules. Their primary tactic is lying and relying on the gullible public to presume they could not possibly be as radical as they actually are. Also available as an audio book. Corn in the Washington editor of The Nation . Among his well researched conclusions: Bush deliberately misrepresented the provisions and effects of his tax cuts; lied about his ties to corporate criminals; and presented deceptive claims to sell controversial policies on stem cell research, missile defense, abortion, energy, health care, education and the environment. Recommended by Michael Moore. 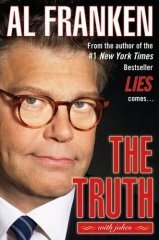 Franken’s political comedy gets better and better with the years. He started out on Saturday Night Live. 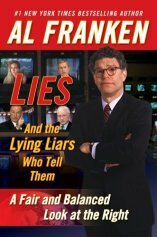 Warning for the humour-detection impaired, Franken admits stretching and distorting the truth for comic effect. 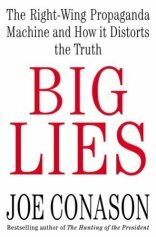 This is a book about lies. 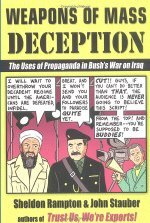 It is also about how the Bush administration uses ditzy Madison Avenue style deception in its foreign policy. It would be funny if the consequences were not so serious. So it goes over events we are all very familiar with, letting us in on the less spectacular Bush administration lies surrounding them. Despite the comic book cover, the book is deadly serious. Challenges the neo-con characterisations of liberals.